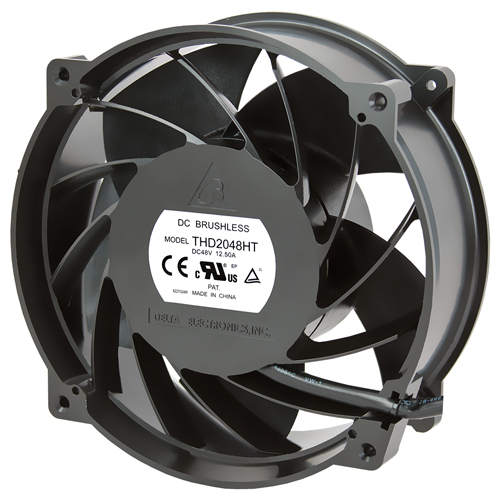 The THD series fan was inspired while observing a flying osprey. “The osprey’s diving posture when catching prey is swift, quiet, and precise. Their wings work similarly to the principle behind how fans work too.” Engineers manage to apply the posture and wing structures of ospreys to design fan blades via parameterized and simulated processes. 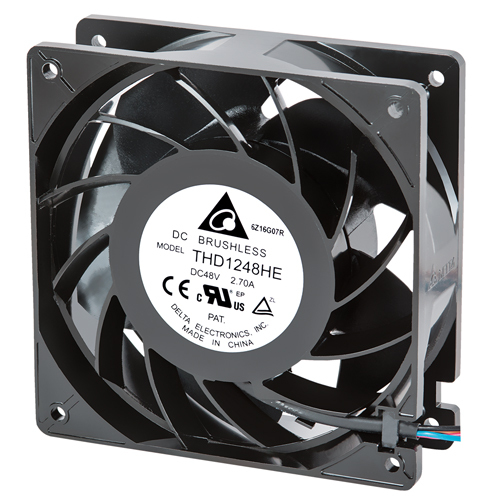 This THD series fan with bionic design manages to reduce up to 6dB-A of noise compared to its competitors while maintaining highly efficient operations. 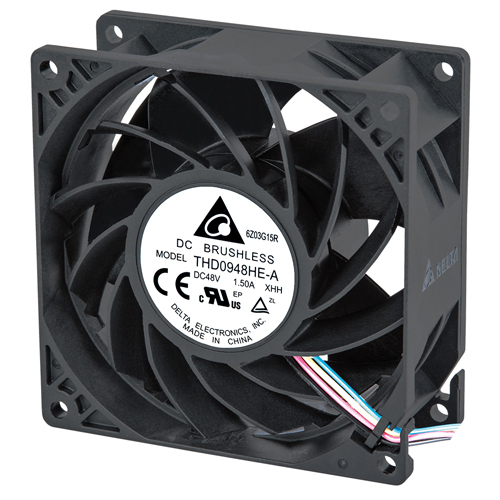 The measurement of noise is a logarithmic relation, so a reduction of 6dB-A is a 10^6 reduction of noise, which is equivalent to the difference between four fans running simultaneously and the noise from one fan– quite a significant margin. 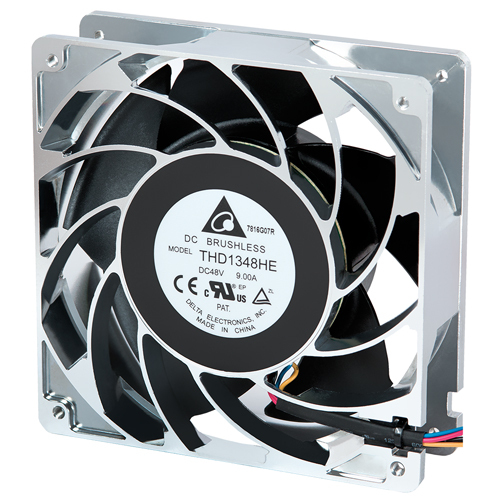 Once the product was successfully developed, the fan team gradually applied this high-performance heat dissipation fan to many more of Delta’s products. 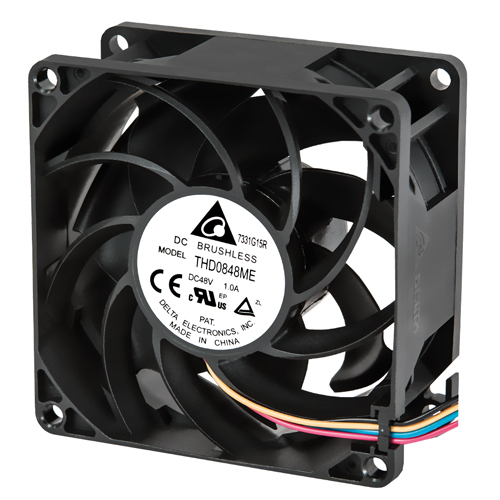 From telecom servers to heat exchangers and air conditioning, home-based ventilators will be introduced next to bring out higher competitiveness for a series of Delta’s fan products. 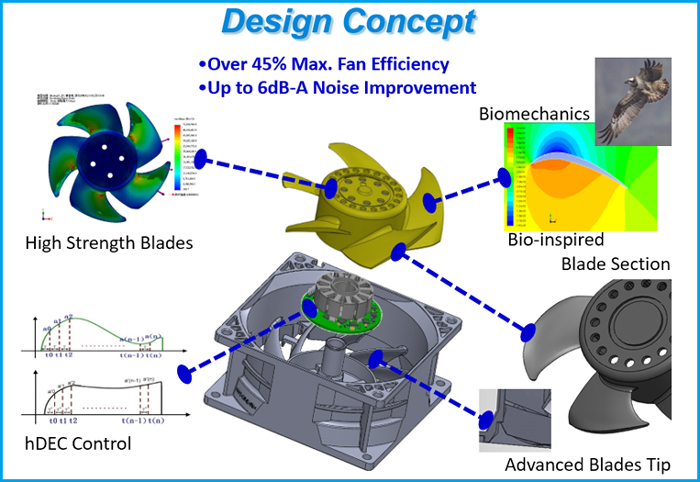 Through vibration simulations and different material bonding strength studies, Delta has enhanced the structural design of the fan's frame to gain higher natural frequency for improved vibration and resonance.